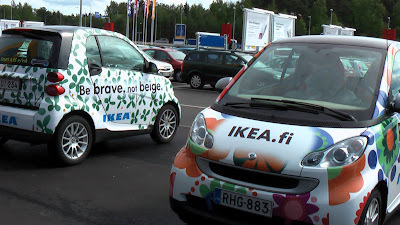 When Ikea Finland opened their new store in Turku (the one we we did the launch campaign for) they decided to use the Be Brave Not Beige idea as part of the launch buzz. 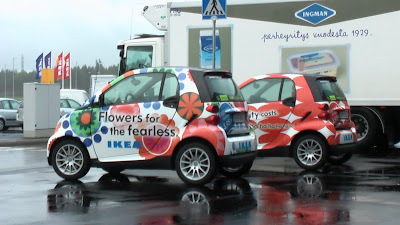 They branded up these Smart cars with the campaign line and drove them from Helsinki to Turku the day before the launch. You can't stop a good idea spreading.